I went to the cupboard, but the cupboard was bare! My stock of doorstops has just about been exhausted and making them from scratch to order just will not cut it (especially in the run up to Christmas and with a rapidly growing bump) , so it was production time…. I was very kindly offered the use of a cutting press and my husband offered to look after Charlotte for the day, so the other day I took the opportunity to get some cutting done. 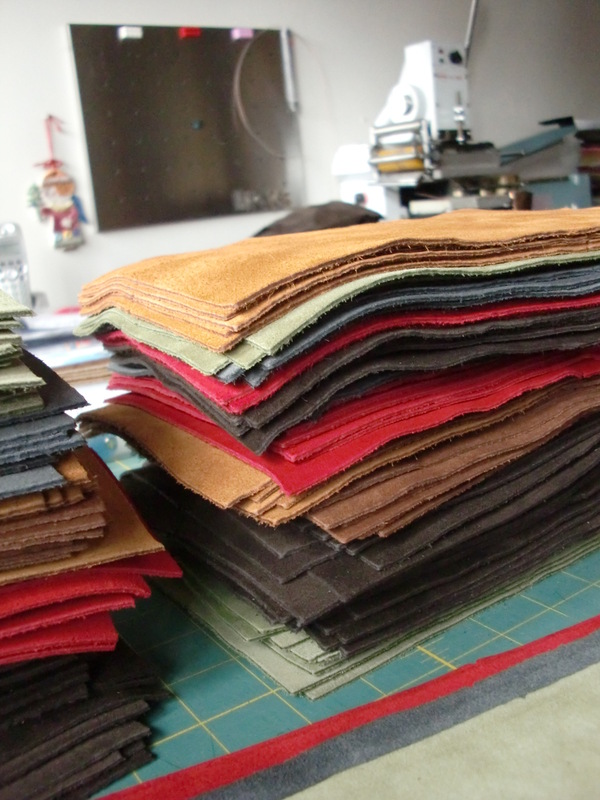 A big pile of doorstops cut and I am a happy woman! 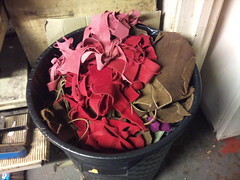 It does however always make me a little sad to throw away scraps, but you should see how many I already have! Ohh!!! You uttered the ‘Christmas’ word!!! I’m already seeing Christmas cards in the shops, can you believe it?